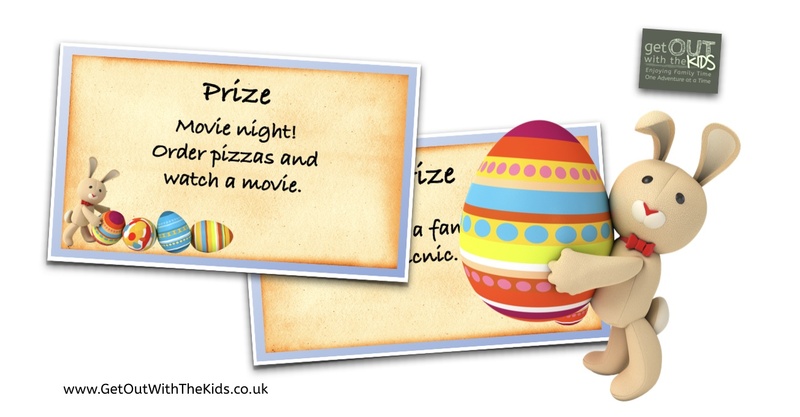 Home » Games & Activities » Playing Things » Easter Egg Hunt: Teach your little ones map skills! Right from when our kids were little to the present day, we’ve created an Easter Egg hunt. It’s nothing too elaborate: some clues for them to follow and find some treats. 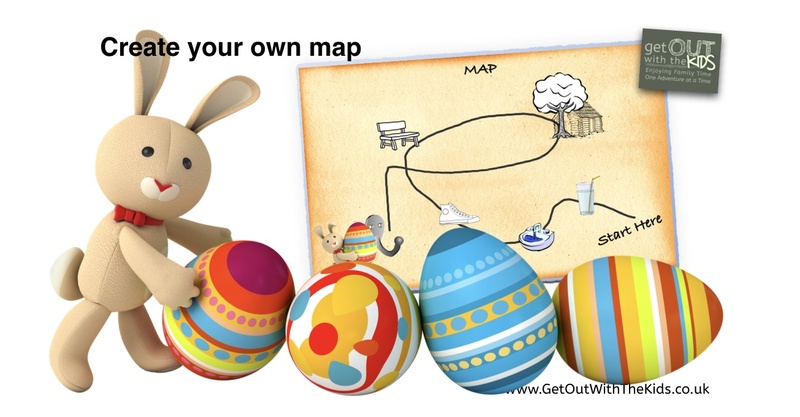 An Easter Egg hunt is also the perfect opportunity to introduce maps to small children. No, not Ordnance Survey maps and compasses, but a simple treasure hunt map. One of the critical skills in map reading is the ability to relate what’s around you to what’s printed on paper. After all, things around us are 3D, and the map is 2D. A proficient map reader should be able to read the contours and features on a map to work out where they are. We don’t need anything that complicated for an Easter Egg hunt though! A simple treasure map is all part of the Easter fun. First off, decide where you will have your Easter Egg hunt. We keep ours around the house and garden. The map can be combined with clues too, for an extra challenge. We’ve put together an Easter-themed map background that you print and draw on, as well as some clue cards with some clues you can re-use. By the way, if you are a Club Member, you can download our Treasure Map Construction kit and really go to town on your map. 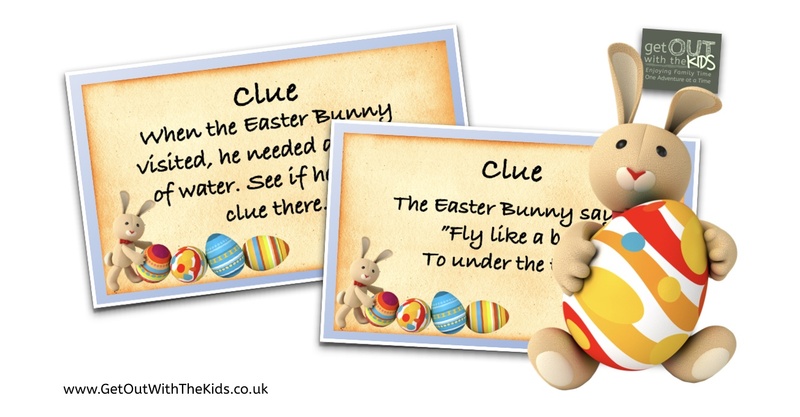 For this, we’ve created a “Follow the Easter Bunny” set of clues and map. When the Easter Bunny visited, he needed a drink of water. See if he left a clue there. After delivering eggs, the Easter Bunny had to wash his hands. Did he leave a clue there? The Easter Bunny says, “For the next clue, Look in a shoe”. The Easter Bunny says, “Go to the seat, For something to eat”. The Easter Bunny says, ”Fly like a bee, To under the tree”. The Easter Bunny says, “Hanging on a peg, You might find an egg”. To help them out, draw a simple treasure map. And you don’t have to fill your kids with too much sugar either, as some prizes can be other gifts or ‘vouchers’ that the kids can use for particular family treats that they like, such as a movie night or going on a picnic. You could put prizes throughout the hunt. They don’t all have to be sweets and chocolate. 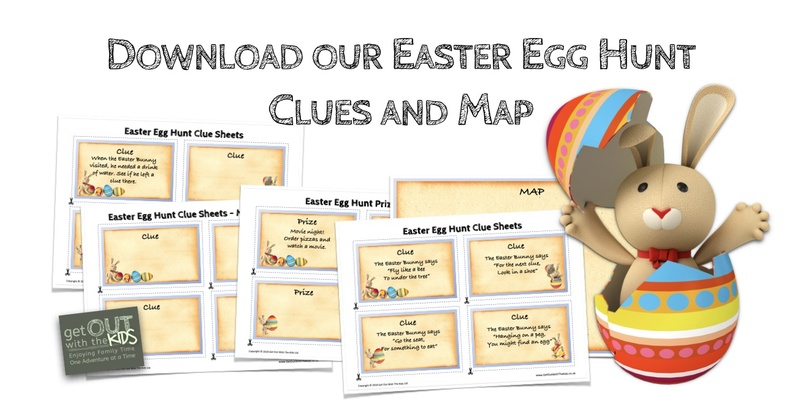 Grab our Easter-themed clue and map templates, print them out at home, and write on your own clues and draw your own map.